Traditional South African food with a twist. 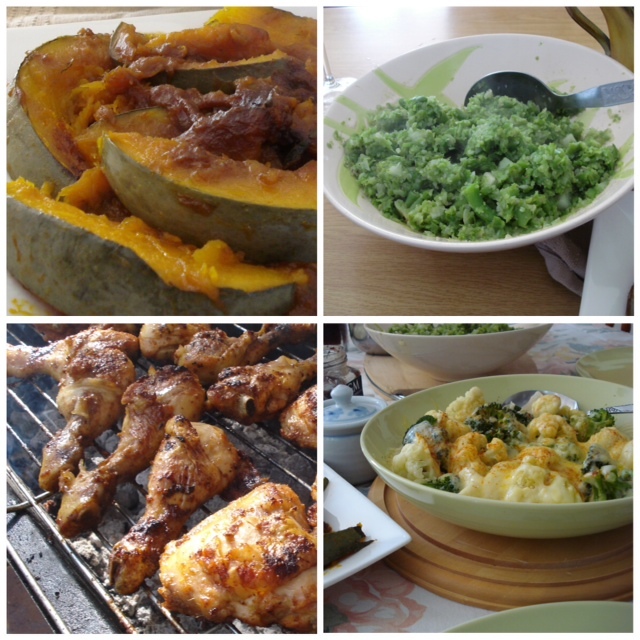 Traditional food in an Afrikaans speaking home consisted mostly out of meat, potatoes, pumpkin and rice. I still use the recipes that my mother used so many years ago. 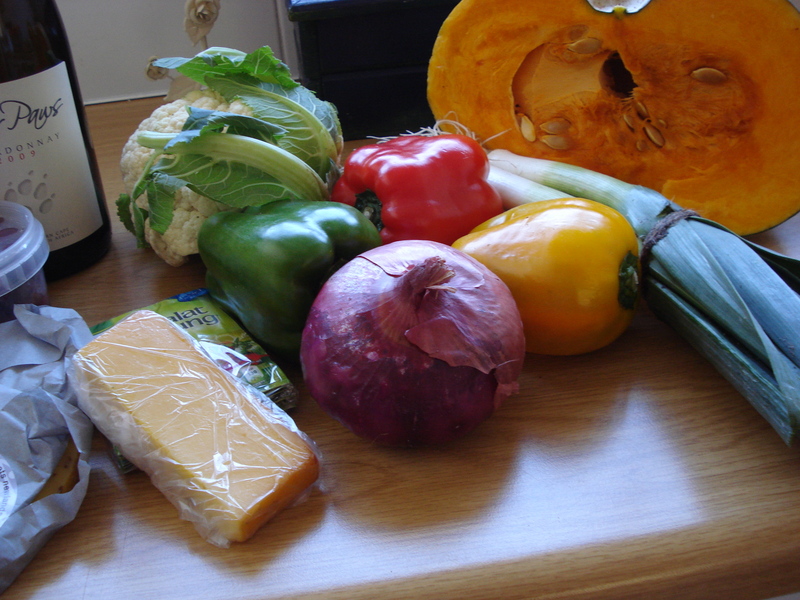 Yesterday’s market finds made me think of a pumpkin recipe that we used when we had pumpkin for a Sunday lunch. 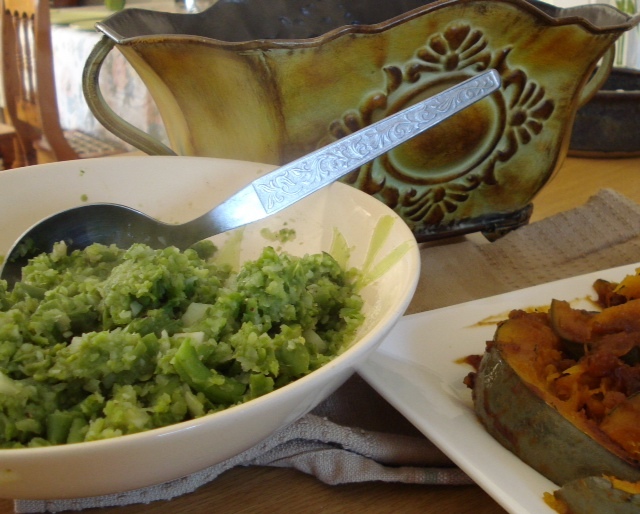 The Afrikaner’s traditional way with some vegetables is to sweeten it with golden syrup, sugar or honey. Wash the pumpkin thoroughly because it will be cooked with the skin on. Cut the pumpkin into slices and remove the pips. 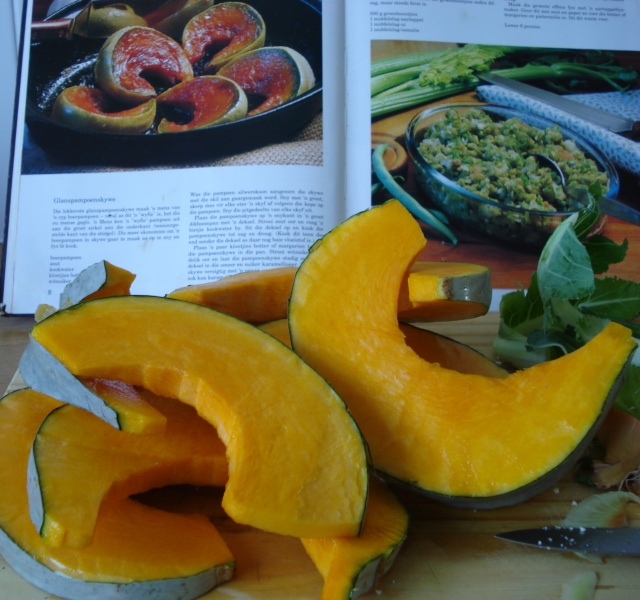 Place the pumpkin slices into a cast-iron pot. Sprinkle some salt over it and add about a cup of boiling water. Place lid on the pot and boil until pumpkin is soft and dry. You might have to boil it at the end without a lid. Put a few blobs of butter in the pot and sprinkle with sugar. Let the pumpkin caramelize on a low heat without a lid. That made me think about two other dishes that have always been my favourites. 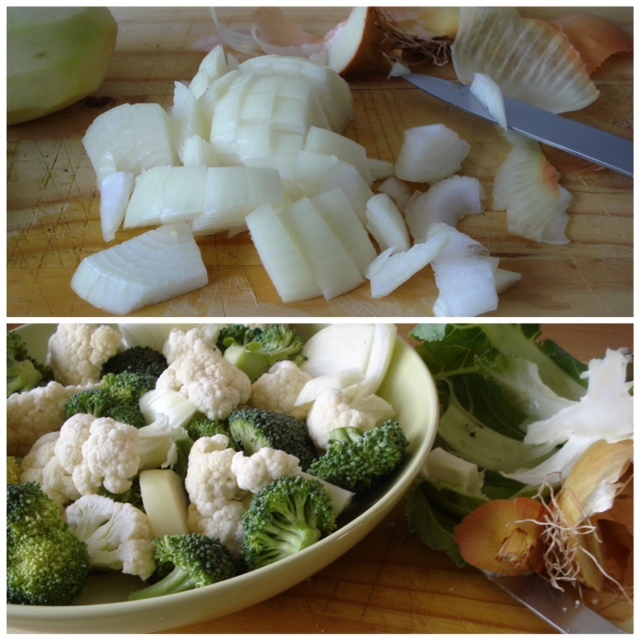 Stewed green beans and broccoli / cauliflower bake! Cook ingredients for about 40 minutes and mash with the potato masher. Add salt, butter and pepper to taste. My husband contribution to the meal was to grill some chicken pieces on a braai. 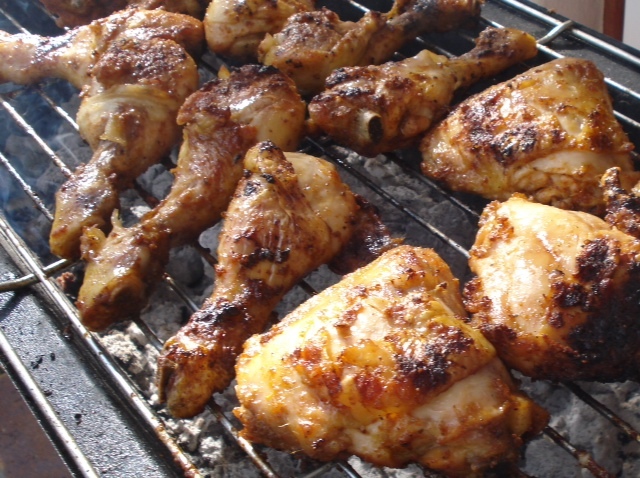 (South African word for a barbecue) Yummy! That’s how we ended up having a traditional meal with a twist! These are my own views on traditional food in SA. Living in Cape Town is a new experience ! I’ve only been living here for 2 weeks therefore there is so much to see, so much to do! This morning we went to a lovely market. Die Platteland Market at The Palms in Woodstock​. The market offered so many freshly baked goodies, homegrown veggies, lots of cheeses to sample on, olives, dried fruits, nuts, fresh flowers and a lot more! Needless to say that I went home with a lot more than I’ve bargained for! 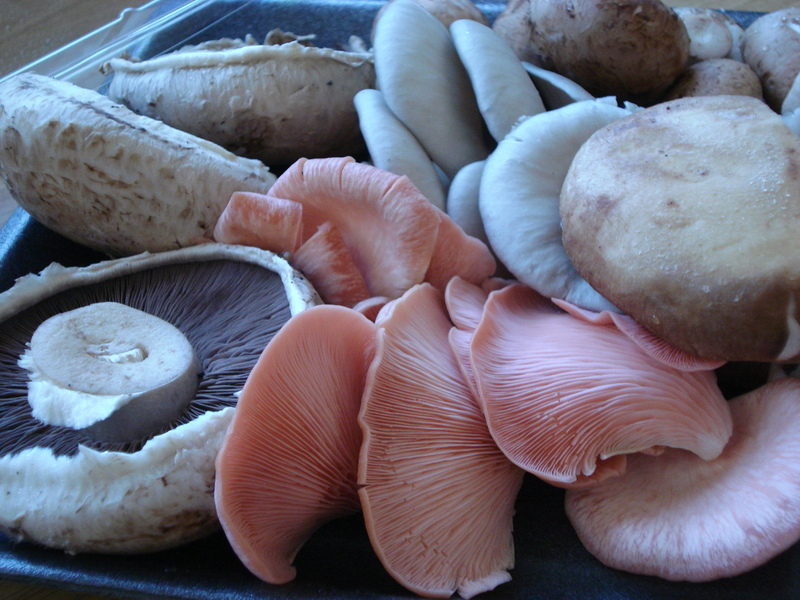 Fresh mushrooms from Darling Gourmet Mushrooms and cheese from Bon Fromage in Newlands!